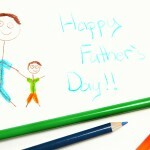 Surfnetkids » Father's Day » Gift Ideas » What Are the Best Father’s Day Gifts? Get him moving-Many dads have become far too sedentary. This Father’s Day you may want to get your dad up and moving. Offer to accompany him on a nature hike, go on a family bike ride, or coax him out to use that driveway basketball stand. If your dad is already being physically fit, then register both of you, for an upcoming 5 or 10k. He will appreciate the fact that you want to spend time with him. Record the memories-Your dad would love to get his very own Father’s Day movie. Whether you choose to stage your creation, complete with costumes, props and even a script, or you want some spontaneous fun to record for Dad, he will appreciate being able to view it over and over again. Be sure to get the whole family in on the act. You can also have people share their favorite memory of him and really let him know that he is appreciated, for all he does. You can even go outside the family to get friends, neighbors, fishing buddies, or anyone else your Dad is close to. You’re never too old for a coupon book-Kids often make coupon books, for their dads that are full of hugs and other kid surprises, however, this idea works well not matter how old you are. Are there some jobs around the house that Dad has to do, but hates all the same? Does he have things that he keeps putting off? Does he want to do certain things with family members, can’t seem to find time? These are all factors that can make your coupon book something really special. Make sure that you offer a wide variety of different services or activities. You can offer things like detailing his car, giving him time alone, going on a picnic etc. he will appreciate that you took the time to come up with a gift that means something unique to him. Have a game night-Many dads love to play games, but find their families are resistant. Find out what kind of game Dad loves most and set up a game night, either on Father’s Day or another night. Get all of the family members and create a game tournament that features Dad’s favorite game. Be sure to offer Dad’s favorite treats and well as give prizes at the end of the night (the dollar store can offer some good ones). 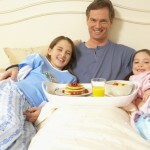 You may find that your Father’s Day gift to Dad actually becomes a cherished family tradition. no reason not to give of yourself on Father’s Day. Even if you can’t make a personal visit, try to find ways to cut down the distance. Rather then buying a generic card, you could write your Dad a letter that lets him know how much you appreciate him. You may also want to include a collage of pictures that lets him walk down memory lane. Finally, make sure to pick up the phone or even better video chat with Dad on his special day.